Product prices and availability are accurate as of 2019-04-21 10:51:46 UTC and are subject to change. Any price and availability information displayed on http://www.amazon.com/ at the time of purchase will apply to the purchase of this product. 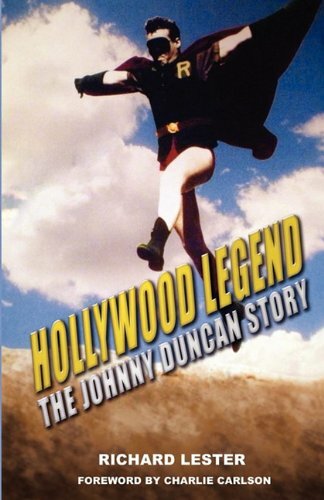 Author Bookstand is proud to offer Hollywood Legend: The Johnny Duncan Story by Bookstand Publishing. Bookstand Publishing offers books by the best indie authors throughout North America and the world. Bookstand Publishing is dedicated to offering original content to a broad audience and promoting great authors, literacy, and freedom of expression. Hollywood Legend: The Johnny Duncan Story has generated a lot of interest and excitement and we think it would be an excellent addition to your library. In "Hollywood Legend: The Johnny Duncan Story," Johnny Duncan and author Richard Lester take the reader on a journey from a depression-era farm in Missouri, to Hollywood during the golden age of the movie studios, and then back to the family home in Missouri. Johnny Duncan still remembers walking to school barefoot in worn jeans, as his parents struggled to avoid losing their farm and going to 'the poor house.' Against all odds, Johnny turned an Irish two-step into polished dance routines that would wow Vaudeville and attract the attention of Hollywood talent scouts. Shortly after arriving in Hollywood as a teenager, Johnny found himself cast in movies with June Carlson, Humphrey Bogart, Spencer Tracy, Jimmy Cagney, and Marlon Brando. As an adult, he lived next to Audie Murphy, his weekend hunting companion. Johnny's big break came in 1949 when he was cast as Robin in the serial adventures of Batman & Robin. More movie roles followed, and then he started appearing on the new medium of television. 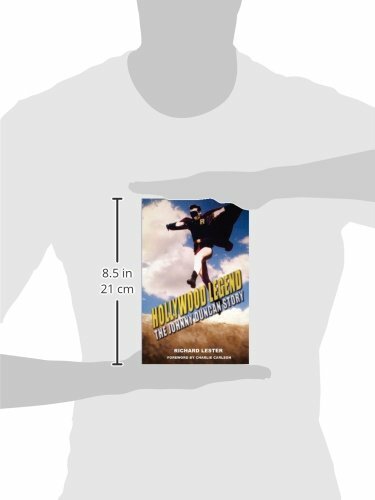 Johnny's story will thrill and amaze all who love movies and the iconic stars who made them. He was there, working and socializing with them, and his memories are destined to become a fascinating addition to the history of Hollywood.